If you need any kind of Danish translation services, you can rely and trust on our English to Danish translators here at NordicTrans. We are dedicated in serving our customers and providing them with the highest quality and accuracy of Danish translations. We render our services at the best prices and at fast turnaround times. Since we started serving translation services in 1999, we have always committed our company in prioritizing our customers’ translation needs and giving them accurate and high quality output. In more than 15 years of our existence in this industry, NordicTrans have always teamed up and sought for partnerships with only highly qualified, native Danish speakers as our translators and proofreaders. Getting accurate translations may not be as easy as it seems. The translator needs to be knowledgeable in your field and native of your target language. The translation then needs to be edited and proofread. Some translation providers may cut some steps out. We don’t, and therefore always provide accurate translation services at all times. No matter if you need a translation of a highly technical document or you need website translation and localization, we have resources to translate just about anything, from any language into Danish or from Danish into other languages. We have well-versed translators in just about any field and we can help you with quality translations at fair prices. On top of providing accurate translations at affordable rates, we are also available at all times. You can get in touch at any time, day and night or during the weekend, and there will always be an experienced project manager available to answer your questions, to give you a free quote or to get your translation project started. All our professional English to Danish translators and proofreaders are native speakers of the languages. They’re always on-call 24 hours every day of the week to take on your projects. You can lean on us for any type or size of translation jobs you may have. We have been accredited and always monitored by the International Standard Organisation (ISO), therefore our translation standards are always updated. In order to further elevate the quality of our services and give our customers easy access to their projects in progress, we’ve created our very own web based project management system. This is where our clients can get live quotes, word counter, invoicing, experience a 24/7 responsive customer assistance thru live-chat, and monitor their projects: all online in our website. Our Danish translators adhere to this protocol and are always ready to render their services to you, anytime and anywhere. At NordicTrans, we are Danish language experts and have a professional team of skilled translators who are eager to offer fast, accurate and contextually accurate translations in any field. Here at NordicTrans, our project managers team up with our professional English to Danish translators to translate your projects. 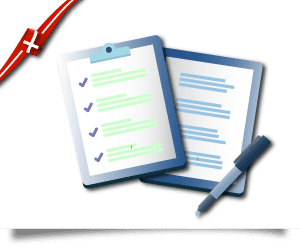 As soon as the translation is done, it will be checked by another native translator in the person of the proofreaders, thereby providing you with the most accurate and high quality Danish translations. What’s more to that are our very low translation rates, the best prices you can get; and without any hidden fees and additional charges for rushed translations or for projects done during the weekend. Our reputation precedes us, because we are now the largest operating translation agency in the world, specializing in the Nordic and/or Scandinavian languages. We are one of the leading translation agencies in the global market of the translation industry. We operate globally with our various languages native speakers, like our English to Danish translators, proofreaders, project managers, to meet your every translation needs. Quality assurance, best services, and timely deliveries are on top of our list of priorities. Our translations are done by our translation experts in a wide range of fields, including legal, academic, technical, pharmaceutical, and financial. 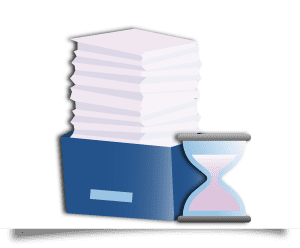 All our translators have wide-ranging professional translation knowledge and experience a precise collection procedure. Just contact us if you are uncertain about the language combination – we support more than 120 different languages. Denmark is seen as a very straightforward place to do business and the Danish market benefits from a high degree of regulatory efficiency. Open business guidelines maintain flexibility and competitiveness. The country’s economy depends deeply on overseas trade, and the private sector includes many small and medium-sized companies. 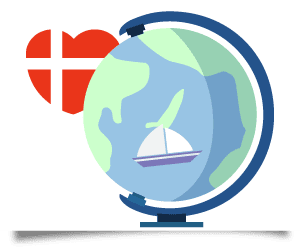 Despite its small population and landmass, Denmark is a global player in many industries, including pharmaceuticals, sea transport, renewable energy and more. Denmark’s trade system, and their good quality of life magnetizes investment from loads of overseas companies, many of which decide to base their research and development facilities in the country therefore needing English to Danish translators. Denmark is to be found in northern Europe and is part of Scandinavia. Though small in land and population, Denmark has played an outstanding role in European history. In early times, Danes and other Scandinavians reconfigured European civilization when the Vikings undertook businesses and colonizing missions. Making an important contribution to world culture, Denmark also developed civilized governmental institutions and cooperative, peaceful approaches to problem solving. These days Denmark captures global imagination as the essence of a civilized society, and it punches above its power on many fronts: advance politics, sustainability, urban planning, work-life balance, architecture, design and more. The global environment creates a sound demand for Danish translations. Even though international business is regularly conducted in English, moves are being made to make sure that the Danish language does not fall out of custom in this context and as a result, communication in Danish is vital when targeting local markets. Danish language is spoken by approximately 6 million people. It’s an official language of Denmark and also one of the official tongues in the Faroe Islands and Greenland provinces of relative autonomy. Danish had a strong control in some parts of Great Britain and today many Danish words can still be found in the Yorkshire dialect of English, for instance. Danish language, with its eclectic-sounding consonants and excess of vowels, is known as one of the hardest languages to learn. But it isn’t that hard to read Danish if you are a native English speaker and have some awareness of German. If you are Swedish or Norwegian, reading Danish is quite simple. We agree with what other people have said about understanding spoken Danish and speaking it. What we will say is that if you tell yourself you can learn to understand and speak Danish and you will definitely be able to do it. Since Danish is a Germanic language, many of the words and phrases have much in general with German, French and English. Speaking Danish can be a tongue twisting work out for many, but do not get disheartened. Loads of expats before you have mastered the language and so can you. Just by being immersed in the Danish culture, will go a long way. It helps to keep in mind that you can get along pretty well in Denmark by speaking English. English is a compulsory subject in school and the Danes really enjoy showing off their language skills. Were you wondering who would need to translate English into Danish as there are only 5.5 million Danish speakers? Well, you’d be amazed to see how many projects are coming in for this language combination on a daily basis. Truth be told, most of those projects are business related, but art and literature also has its place. It isn’t just about how many Danish natives there are out there, it is also about the geographical distribution of those people. Since Danish is being spoken not just in Denmark, but also in other countries including Germany, Sweden, Norway, even in the US and Argentina, it’s normal that translations from and into Danish are needed. 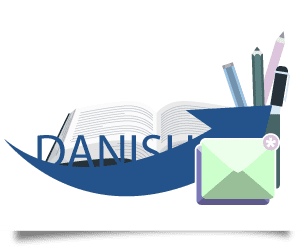 Our English to Danish translators are able to translate any document into Danish, yet, with over 3,000 linguists in our team, we are able to deal with just about any language combination with the same ease. There is no chance of errors. Translating from a language into English only to be able to then translate into another language may lead to various issues and we prevent that by simply translating directly from source into target. Lower costs. Obviously, translating by using English in the middle would actually mean 2 translations of the same content, which would lead to higher costs. Well, it’s not going to happen with us, as we have Danish translators who are able to translate into other languages, not just English. No matter what and how big or small your translation needs may be, we are proud to claim that here at NordicTrans, we’ve got you all covered. You can always count on our teams of Danish translators, proofreaders, and project managers. They can and will always provide you with the best translations for all kinds of projects you have that need translations. Don’t hesitate to contact us and get in touch now for us to start building an excellent partnership with you. Choose NordicTrans for all your Danish translation needs, but also for any other languages that you need, we provide translations from and into more than 120 languages. Try us now and you’ll see the difference.